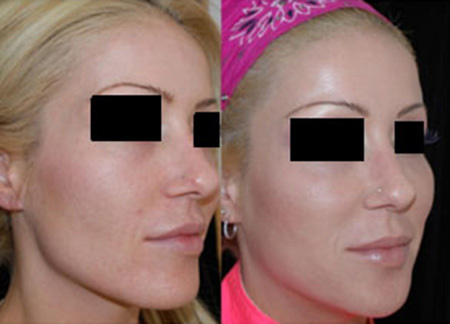 What is dermal filler, also referred to as a face filler or wrinkle filler? A dermal filler is an FDA approved injectable temporary facial implant used to plump or add volume to the aging face and remove wrinkles and deep facial lines. 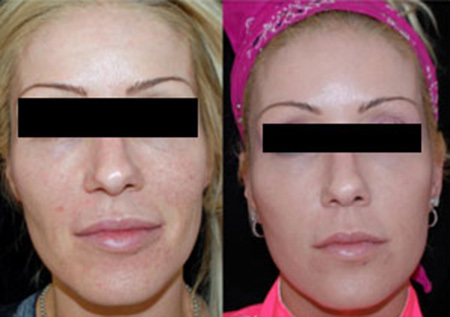 Why do people have dermal filler injection? What does a dermal filler injection do? What are the benefits? Dermal fillers are injected into and underneath the skin to fill or plump wrinkles, sunken cheeks and deep lines to make the face look younger. The liquid facelift as a non-surgical facial skin rejuvenation technique that uses a combination of Botox® or Dysport® and dermal fillers to remove wrinkles, plump and rejuvenate the face. What is the dermal filler injection treatment like? Your face is cleansed with antiseptic and numbing cream applied. Cold is applied for numbing and the filler which contains numbing medicine is injected. Boston Plastic Surgery Specialists then massages the filler. How long does a dermal filler injection treatment take? The injection takes only a few minutes. Does dermal filler injection hurt? Dermal filler injection can cause discomfort. The combination of numbing cream and cold make it much more comfortable. What will my face look like after dermal filler injection? Can I go back to work? You see the result right away. The area may be pink or slightly swollen but most people can return to work. I rare cases, there can be bruising. Will people know that I have had a dermal filler injection? No, people should not be able to tell. What do dermal filler injections cost? On average one syringe can cost $500-$750. If you choose to have multiple syringes cost can be higher. Yes dermal fillers are safe when FDA approved fillers are injected by an experienced, trained physician. What are the possible side effects of dermal filler injections? Possible side effects are swelling, pinkness, tenderness, temporary numbness, bruising, discomfort or allergic reaction. Patients with compromised immune systems should not have a dermal filler injection. You should not have filler injections if you are allergic to any ingredient in the filler, have a skin infection or inflammation, or a history of hypertrophic or keloids scars. Who should do my dermal filler injection? What is the best dermal filler, face filler or wrinkle filler? Prevelle® Silk – Prevelle® silk is a thin Hyaluronic acid filler called a starter dermal filler. Belotero® – Bellatero® is another thin HA filler that is used in fine lines. Juvederm® – Juvederm® is a longer-lasting hyaluronic acid filler up to 9-12 months. Juvederm® XC is mixed with an anesthetic. Juvederm® Ultra lasts longer. Juvederm® Ultra XC and Juvederm® Ultra Plus XC have numbing medicine. Radiesse® – Radiesse® is a firmer, stronger long-lasting facial filler made of calcium hydroxyapatite. Radiesse® is not used in the lip. Sculptra® – Sculptra® often mispronounced as Sculptura is Poly-L–lactic acid. Sculptra® acts both as a filler and bio stimulant to regenerate new collagen. Sculptra® requires a series of 3-4 injections 3 weeks apart. Collagen injection – collagen injections were the first dermal filler but have been replaced by the HA fillers.